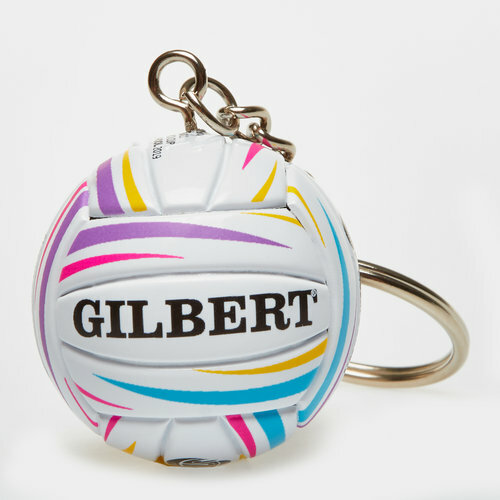 Decorate your keys and make them easier to find with the Gilbert World Cup Netball Keyring in White, Purple and Blue. This official mini Gilbert world cup keyring features a keychain to attach to set of keys or perhaps even a bag and is soft and stuffed with polyester. This mini netball is a limited edition and is perfect for any netball fan to celebrate the prestigious tournament. This is the perfect souvenir momento piece, the ideal 8item to be a gift or prize.